As you know, the team here at Devas Designs love making sure we keep up with London’s latest arts and antiques fairs and exhibitions. We source a variety of items for clients from works of contemporary art to antique treasures, either as part of a project or as a one off. We are therefore always on the look out for exceptional pieces for our clients and make sure we keep track of the latest trends in the market. This week we visited The London Art Fair held at the Business Design Centre in Islington. Split into various sections, the fair had a wide and electric selection on display including both young, emerging artists and established big names like Damien Hirst. One of our favourite displays was the ‘Coast’ exhibition curated by the highly regarded Jerwood Gallery. They were displaying key works from their Jerwood Collection which included some of our favourite British artists such as Barbara Hepworth, John Piper and Ben Nicholson. Although we source international work and have a diverse knowledge of international art, we enjoy being able to collect British works for our clients. Often these works of art sit beautifully in British homes as they can reflect their landscape. The works on display at ‘Coast’ all displayed how the British Coastline has influenced a selection of British artists - it reminded us of our past interior design project on the Irish West Coast, we took inspiration from the colours and atmosphere of its surrounding and focussed on a palette of pale greens, pale blues and greys. You can read more and see photographs of this project by clicking here. As you might have noticed from our recent blog posts, we’ve been going to every antiques and art fair this summer in London. This week we had a lovely time this week visiting The Decorative Antiques and Textiles Fair in Battersea, their 30th fair. Here are a few of our favourite pieces. We’ve featured items from Hugh Leuchars before, he specialises in 18th Century continental furniture, particularly French furniture, so we always seem to find a piece that catches our eye. We like the charm of his pieces, while they follow classic styles they often feature playful elements like the pieces below. Shane Meredith’s display was also full of intriguing and beautiful pieces of English and Continental furniture. We particularly liked this late 18th Century commode made from yew and walnut woods. We were pleased to see Dominic Everest and his collection of stunning Ziegler carpets. Dominic set up his business at the age of 22 and has continued to make a name for himself, supplying carpets to iconic British estates. The Ziegler carpet, below right, from 1880 has a beautiful colour scheme, combining reds and greens. As well as artworks, we have also used carpets as inspiration for an interiors colour scheme. If a centrepiece like this really catches your eye, its colours and patterning can act as a starting point when deciding colours, textures and decoration for an interior design project. Masterpiece is one of our favourite fairs, its quality of exhibitors and variety of displays really is unrivalled. In our last blog post we showcased the exquisite pieces of jewellery and furniture that caught our eye at Masterpiece Fair 2015 in London. This time, we wanted to show you the beautiful works of art that shone our for us at the fair. We are often asked by first time buyers for advice on starting a collection and Masterpiece Fair is our top suggestion. This year's fair features over 150 exhibitors showcasing items that span across 4,000 years. The exhibitors level of expertise is also invaluable and with such eclecticism it really is the perfect fair to find a piece that works for you. We always keep an eye out for artworks that could really help compliment an interior. We source artworks and furniture not only as part of a project but also as a one-off for clients so we're always keen to seek out new pieces on the market. If an artwork really captures your attention you can even use it's colouring as a starting point for your colour scheme, or use it to suit an existing palette to really help tie in your interior's colour scheme. We are frequently drawn to paintings by Ivon Hitchens, so were drawn to Christopher Kingzett's stand who had several on display. Their tonality and semi-abstract nature can so perfectly compliment either a new or existing colour scheme, adding character and charm without dominating the space. As well as an impressive array of paintings, there were some exquisite sculptural works on display, particularly at Sladmore Gallery and Sladmore Contemporary. Mark Coreth had a selection of bronze sculptures on display at Sladmore Contemporary, with smaller pieces on sale that would be perfectly versatile to display at home. He is inspired by his time spent in Kenya and the animals that he grew up sharing land with. His quick modelling technique aims to capture the animal's movement, and we like the way his fingerprints and modelling marks remain on each work. Philip Mould & Company also had a selection of spectacular works of art, as usual. They focus on British art and the Old Masters, both of which are a real passion of ours. 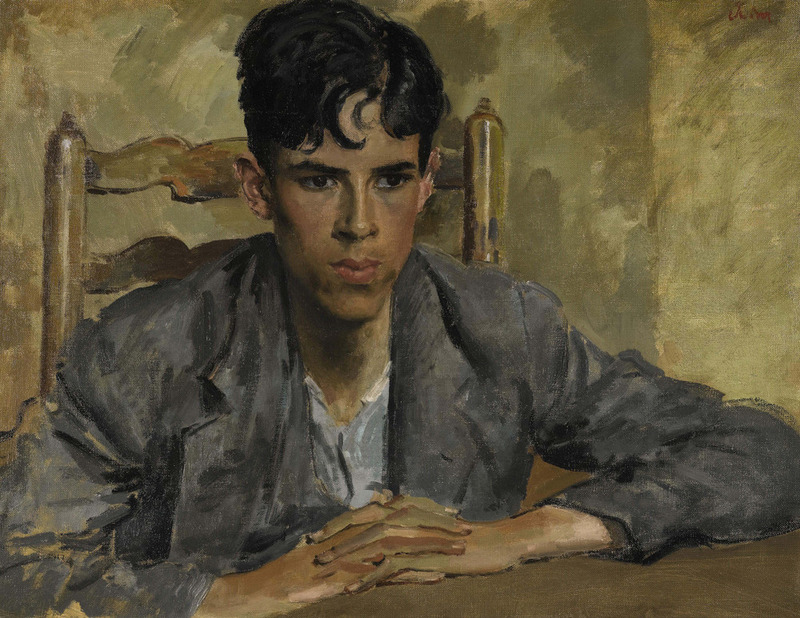 They had several works by Welsh painter Augustus John. As well as being a painter, John was a draughtsman and etcher and is known for his portraiture work. For a brief period he worked in a post-impressionist style, which remained influential to his style although returning to a more classical approach. It is his beautiful and elegant sense of light and colour that appeals to us. He often sticks to a relatively close hued colour palette which means, if chosen well, his paintings can provide a harmony with an interior's existing colour scheme. Masterpiece is undoubtedly one of London's stand-out Art & Antiques fairs. There were over 150 exhibitors with items on display that span 4,000 years of art and design history at this year's fair. We are often asked for advice from first-time buyers hoping to start a collection, and on many occasions we point them in Masterpiece's direction. It isn't just the sheer quantity of exhibitors and items available, but their guaranteed quality. We also admire the enthusiasm and knowledge of the exhibitors. Another piece of advice we always give is that if you're unsure about what to buy or just unsure about what you're looking at; always ask the exhibitors, their passion and expertise really is invaluable and they are always on hand to help. Did you visit Masterpiece this year? Let us know what items caught your eye, and take a look at at Part I of our blogs on Masterpiece 2015, highlighting the pieces that stood out for us. Take a look at Part II to see our top picks of this year's works of art on display. Alongside antique furniture and works of art there were some truly exquisite pieces of jewellery on display. One exhibitor that really caught our attention was Veronique Bamps. Veronique, who is based in Monaco, has devoted herself to collecting European and American jewellery dating from the 19th Century to the 1950s. She had on display some classic pieces from renowned designers. 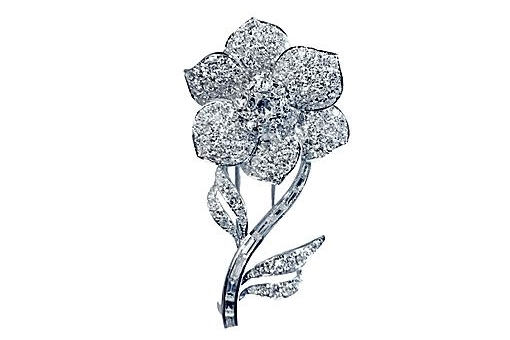 We loved her selected of Van Cleef & Arpels jewellery, take a look at the brooch below from 1966, platinum set with brilliant cut and baguette diamonds. 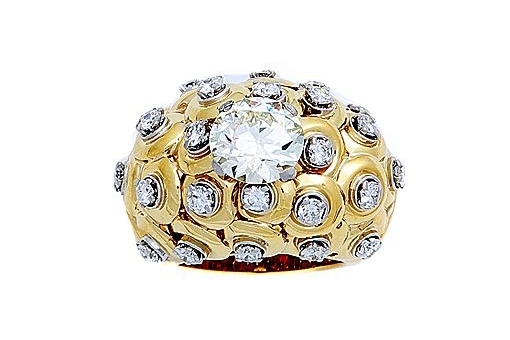 The Van Cleef & Arpels cocktail ring in yellow gold with brilliant cut diamonds would be a true head turner! 88-Gallery had some fantastic pieces of furniture and lighting on display. They are based between London, Belgium, Paris and Hong Kong so are able to source top pieces from across Europe and outside, particularly from France, Belgium and Italy. 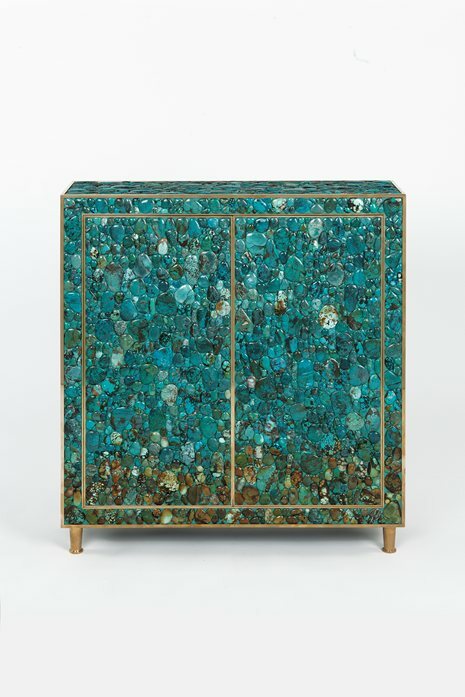 They had a selection of cabinets stunningly decorated with vibrant turquoise. The precious stones give them a real sense of luxury, while their classic shape make them more versatile and brass finishings help to provide an elegant touch. In a neutral room with a subtle colour tone, these could really add a vibrance and splash of colour. Another truly striking piece of furniture to catch our eye was this console table by Irish designer Joseph Walsh made from Olive Ash and glass on display from Peter Petrou. The piece is beautifully hand crafted in his studio in Cork and comes from his famous 'Enignum' series. 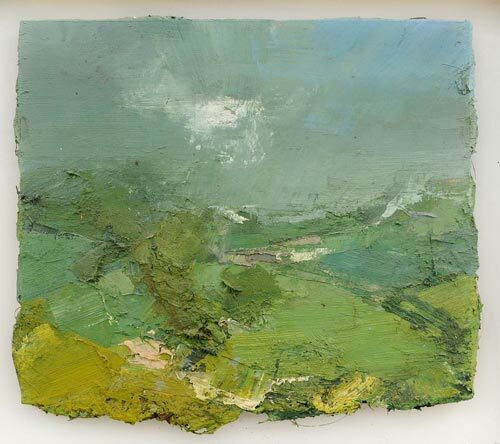 He is inspired by his wild coastal surroundings in Ireland, the landscape he grew up with. He manipulates and bends the wood as far as he can, allowing its natural curves to come through creating undulating and sinuous forms that flow through each other. A console table like this would be a spectacular centre piece in a sitting room, especially in a country or coastal home where it could reflect its natural surroundings. Last week we visited the Olympia International Art & Antiques Fair 2015 in Kensington Olympia. This is London’s largest and longest-running art and antiques fair, as expected the fair was very impressive. We were excited to see such an eclectic and diverse range of items on sale, as well as art and antiques there were some stunning pieces of jewelry, glass, prints, posters, sculpture and silverware to name but a few. If you’re a first time buyer we often recommend visiting this fair, along with the diversity in genres, the prices range from anything between £100 to £1,000,000! As always, we had our favorites, and there were some standout pieces that really caught our attention. Hugh Leuchars had this fantastic French armchair on sale. He specialises in 18th Century continental furniture, particularly French furniture, so we always seem to find a piece that catches our eye. We love finding pieces that have a beautiful and elegant aesthetic, but practicality and functionality is always important to us as well. With its divine green upholstery, classic shape and soft finish, this chair perfectly combines comfort with style. Miles Davis-Kielar had some exquisite drawings by Paul Cesar Helleu on display. Helleu is known for his drawings of beautiful society women of the Belle Époque era. He has a real sensitivity of style in both his drawings and engravings and although his female subjects typify the French culture of the time, their beauty and elegance become timeless. His son and grandson both became artistic directors of Chanel, so his style certainly had an influence on them! House & Garden had a terrific display, HOUSE, that showcased both leading and emerging designers. They chose to highlight and showcase British craftsmanship and it was brilliant to see so many young designers keeping craft alive and learning from the established designers. We particularly enjoyed visiting Hector Finch’s lighting display. We always enjoy visiting Geoffrey Stead’s display. Geoffrey divides his time between the south of France and England, leaving plenty of opportunities to collect on his European travels. These Italian bedside tables (c.1800) caught our eye for their impressive finish and condition and rich colour. At Devas Designs we often favour classic and elegant shapes that have a great deal of versatility while remaining stylish and unique. The classic shape of these bedside tables makes them perfect for a arrange of interiors. In a modern, simple interior they could add a real sense of elegant grandeur, while they could also beautifully compliment a more decorative and traditional room. We had a lovely time this week visiting Art Antiques London 2015 fair in the stunning surroundings of Kensington Gardens. The fair sits near the site of the Great Exhibition of 1851 so the location is steeped in creative history! On display were some spectacular pieces from artworks, ceramics and jewelry to rare books, textiles and furniture. We loved the variety and eclecticism of the exhibits as well as the insightful lecture programme with experts travelling to share their knowledge. 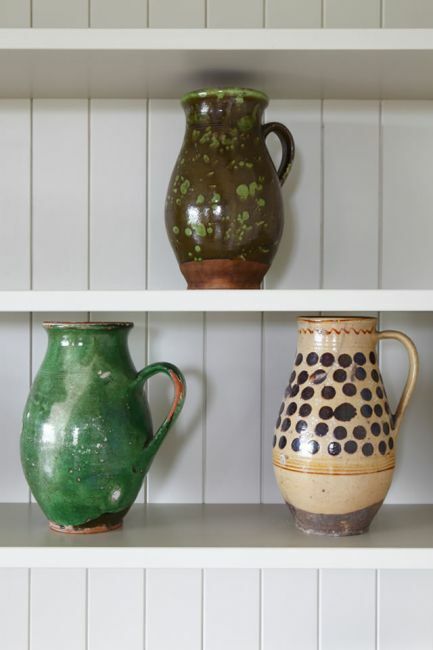 As always though, we were drawn to some very specific pieces – here’s a selection of our favourite pieces from the fair. We were really struck by this unique piece on display at Christopher Buck Antiques. This French walnut shell-shaped stool (c.1860) most likely served as a stool for a harp of cello. 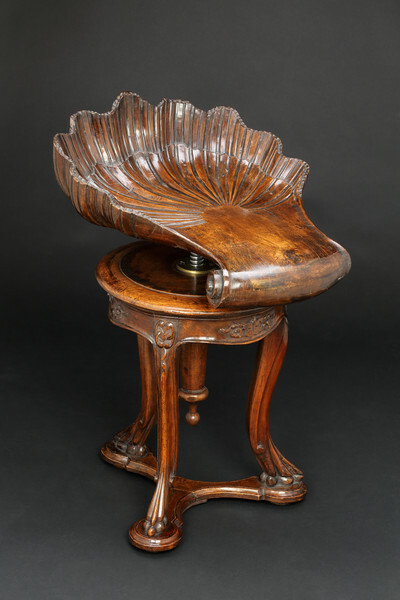 The piece is highly unusual and features a beautifully carved shell shaped seat on a triple leg cariole stand. We are always looking out for artworks that can be incorporated into our clients interiors. The Canon Gallery had a delightful display of modern British, European and Victorian paintings and we loved this red chalk and pencil drawing by Sir Edward Burne-Jones. The drawing stood out for us as it is a study for Andromeda, a popular female subject for Burne-Jones, which features in many of his sketches in the Tate’s collection. Another art dealer that we are always keen to follow is Anthony Hepworth Fine Art, so we headed straight for their display. 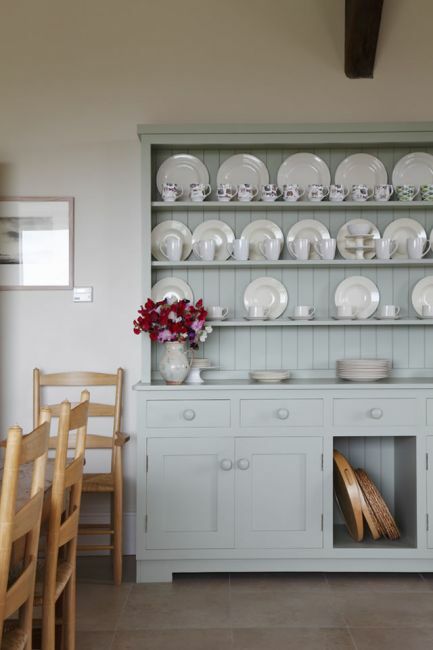 They always have a fantastic display of British artworks that can really contribute and help enliven a colour scheme. We often like some of their more abstract pieces that evoke space and light with their harmonious use of colour. 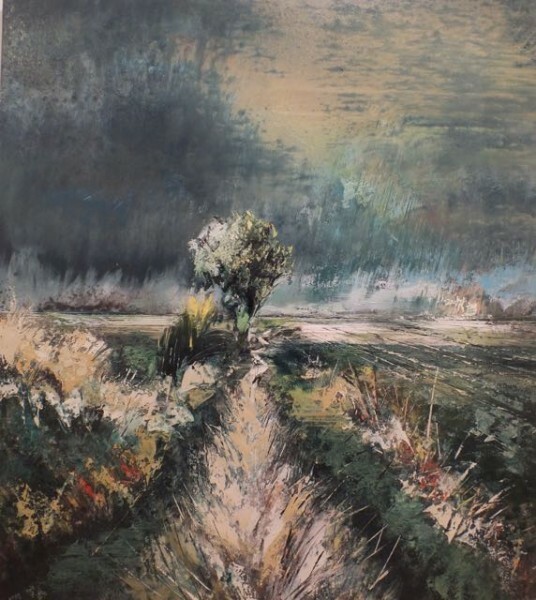 This piece by Colin Bishop (below left) for example could really play into an interior with blue, grey and green hues. This work by renowned British artist Graham Sutherland (below right) takes a more figurative approach and could beautifully contribute to both a subdued interior and modern collection. They also had some beautiful works by Ivon Hitchens, a personal favourite of ours for his subtle tonality and colours. Brian Haughton Gallery always has some fine 18th and 19th English and continental ceramics, so we instantly spotted this dessert plate at their display. Unsurprisingly this Hans Sloane Botanical dessert plate is extremely rare. It is of the Red Anchor period and is charmingly painted with a fruiting fig, branches, leaves, butterflies and insects. This characterful piece would add a real charm if displayed in a classic interior. We attended the 20|21 International Art Fair at London’s Royal College of Art. There was a really exciting mix of both British and foreign galleries exhibiting well known artists from Picasso to Henry Moore alongside young, emerging artists. With over 60 galleries presenting their collections there was an incredible and eclectic selection of works of art, we’ve chosen a few of our favourite pieces from the fair to share with you. Rebecca Hossack Gallery had works by printmaker Phil Shaw on display. 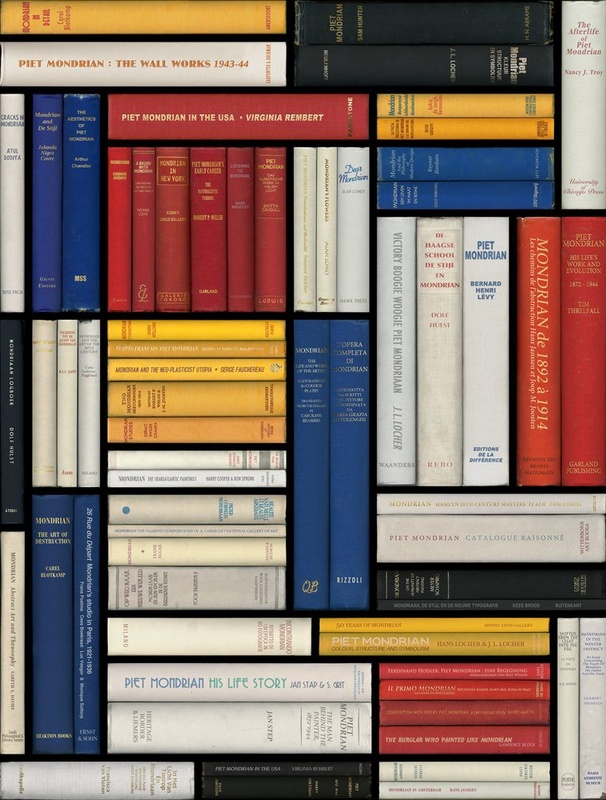 We were intrigued by his Bookshelf series, which capitalises on the new possibilities of digital printmaking. Shaw photographs each book separately, before digitally re-shelving them as a collection in a beautiful monochromatic or colour graded order. The titles are all thematically grouped and one work that caught our eye was based around London tube stops, the title of each book containing a tube location. We loved these prints, they contain witty subject matter combined with a beautiful and colourful aesthetic. Long & Ryle Gallery were exhibiting several artists that caught our eye. 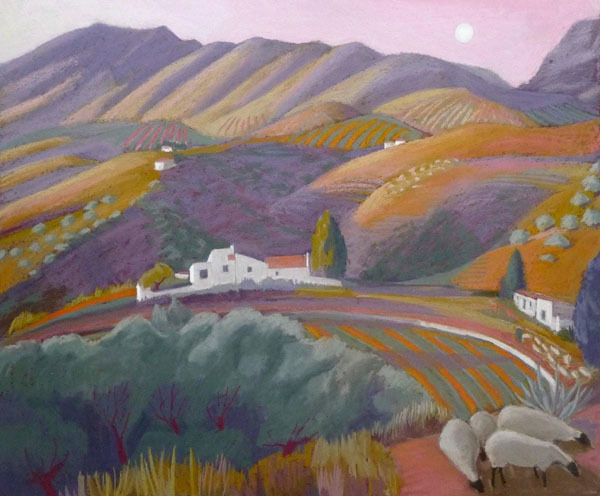 John Monks’ paintings of interiors and landscapes have almost abstract elements with their blurred lines and colours. They could really compliment an existing colour scheme and be a beautiful addition to a modern interior. 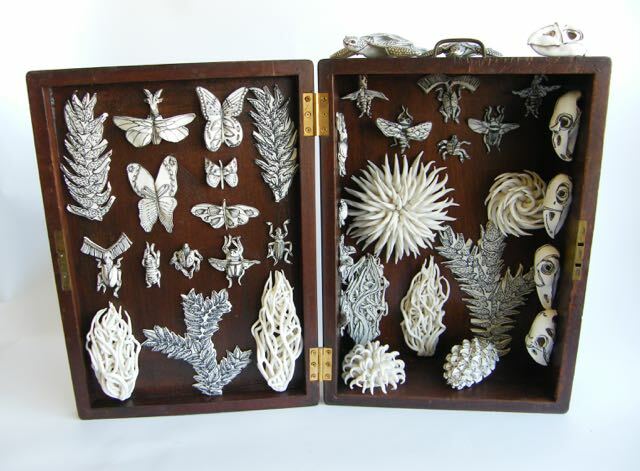 Long & Ryle Gallery were also showcasing Katherine Morling’s intriguing sculptural pieces. These intricately cast pieces are all taken from her personal narrative and personal objects, placed in these cabinets they become precious and memorialized. These would be very unique and eye catching in any interior. 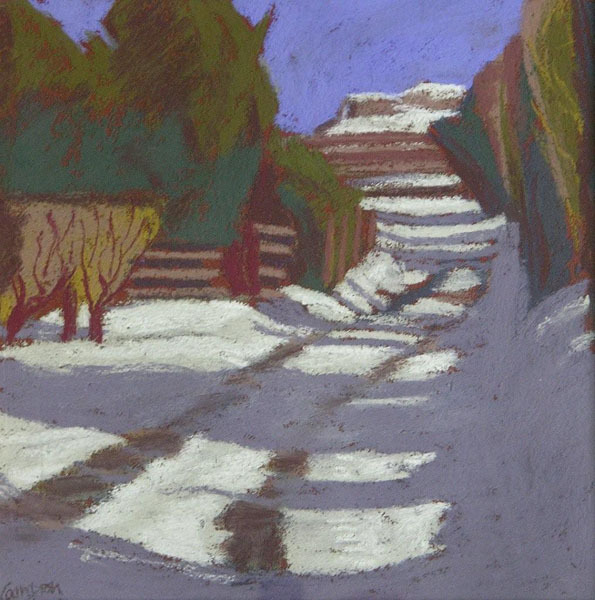 Sue Campion's pastel landscapes at The Russell Gallery's display also caught our attention. Some of more colourful works are reminiscent of David Hockney's colour blocked landscapes. Colours are often simplified and these could really be matched with an interior colour scheme to help bring out certain tones and hues.